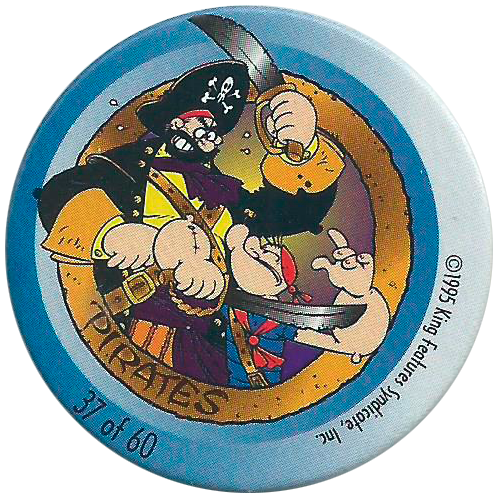 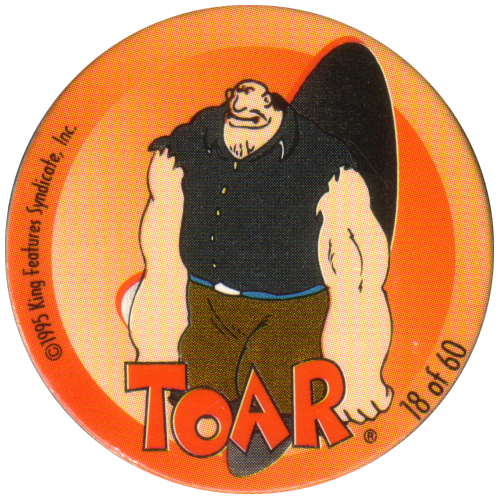 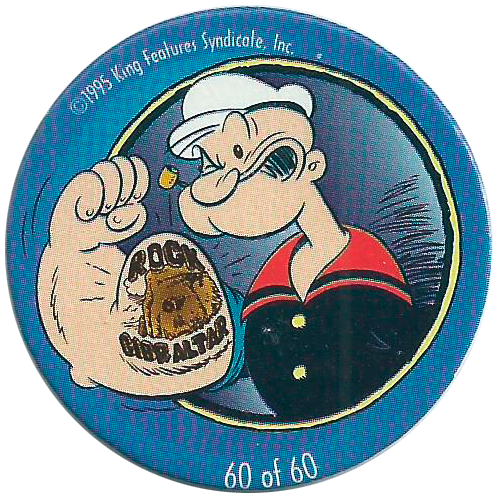 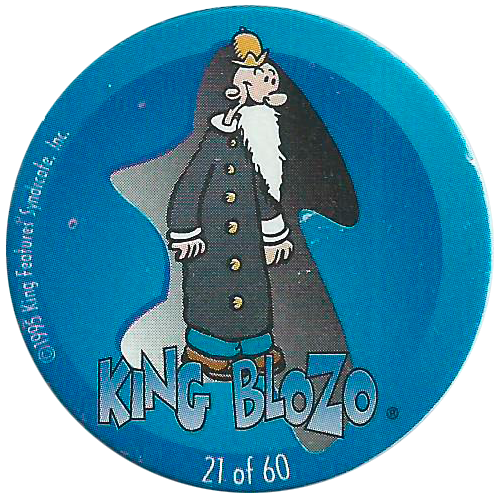 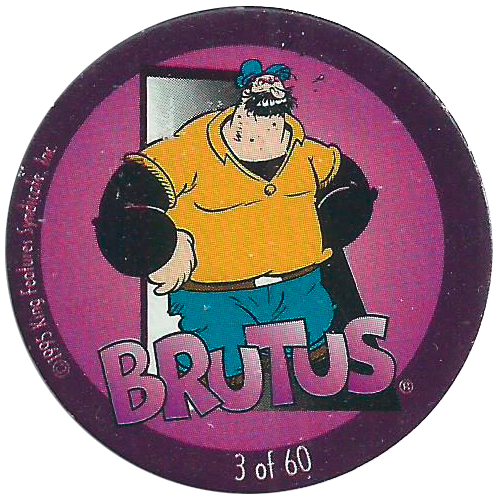 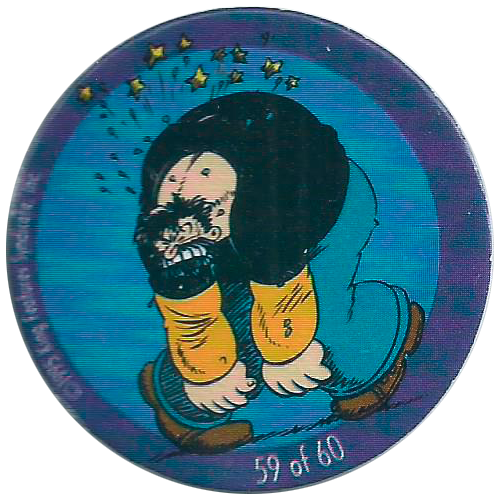 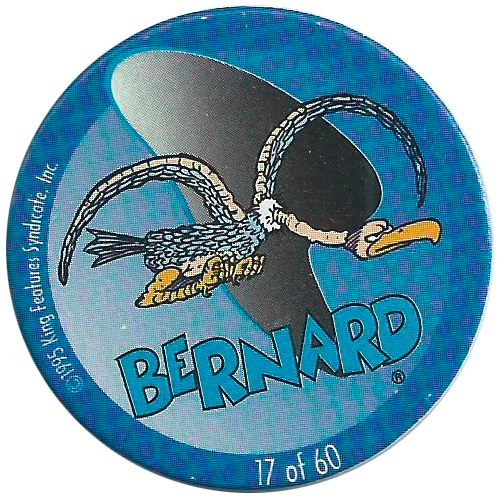 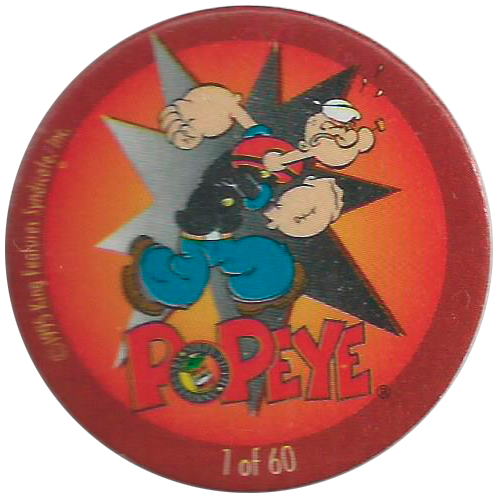 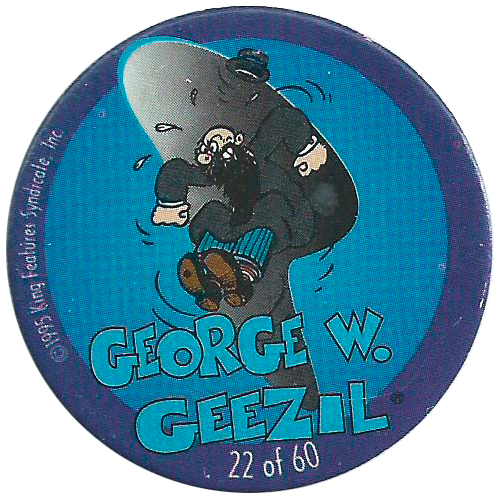 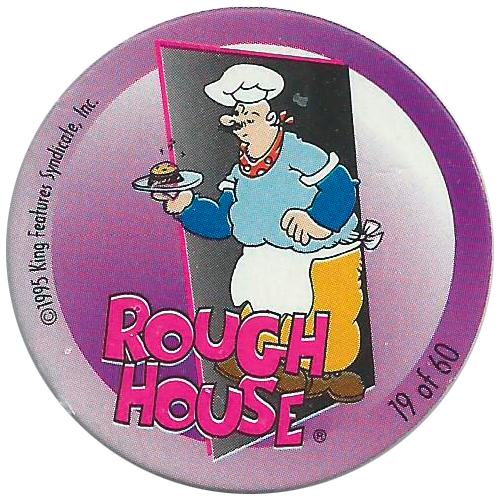 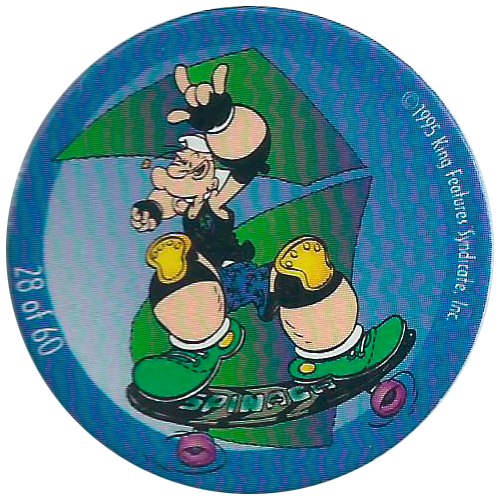 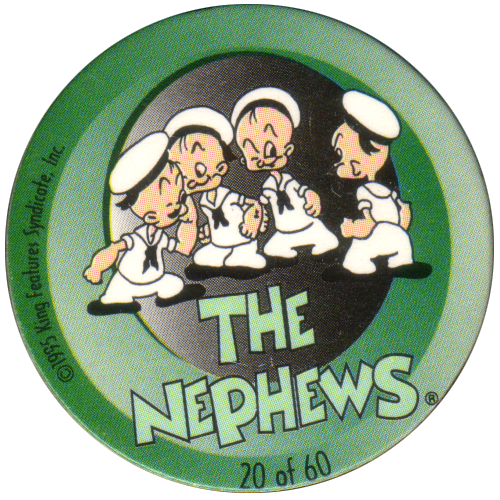 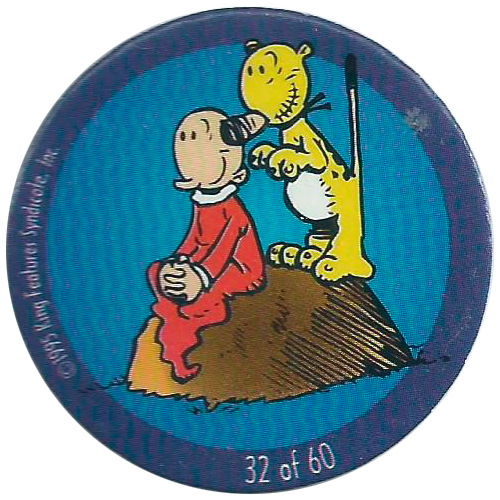 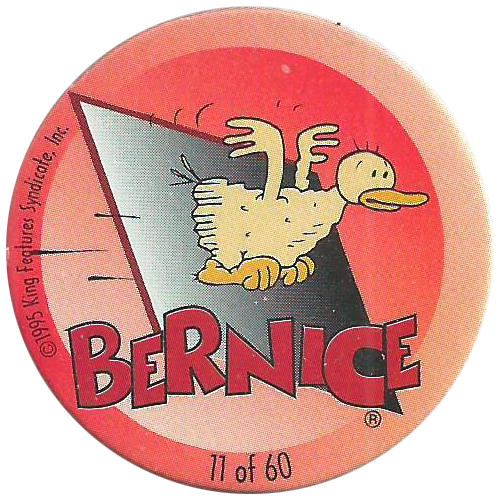 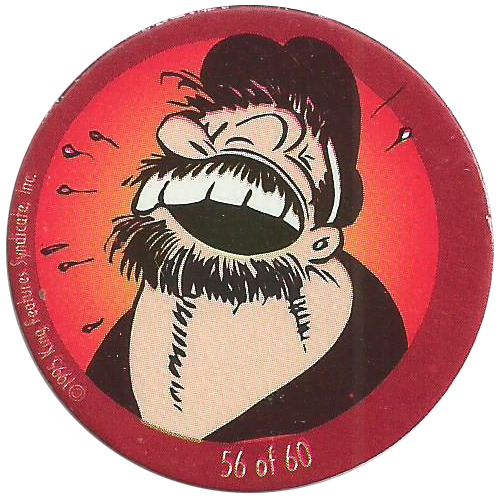 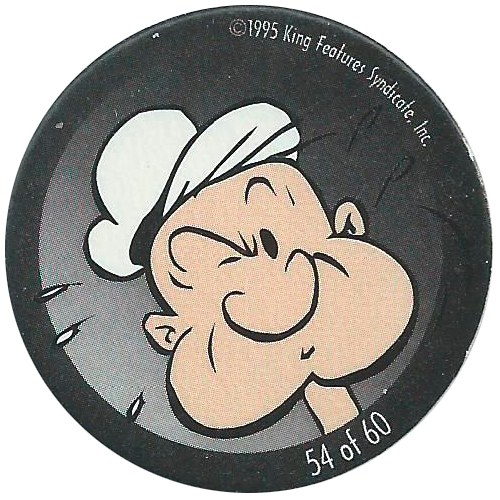 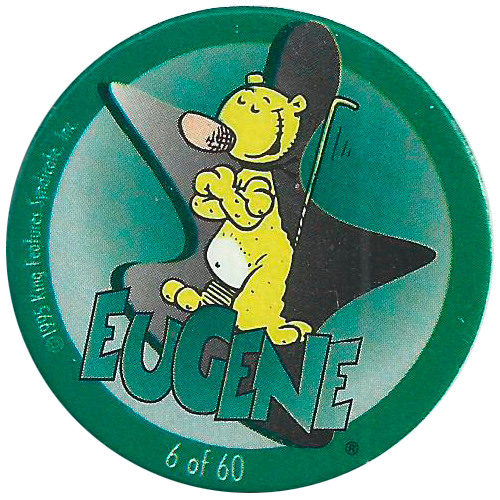 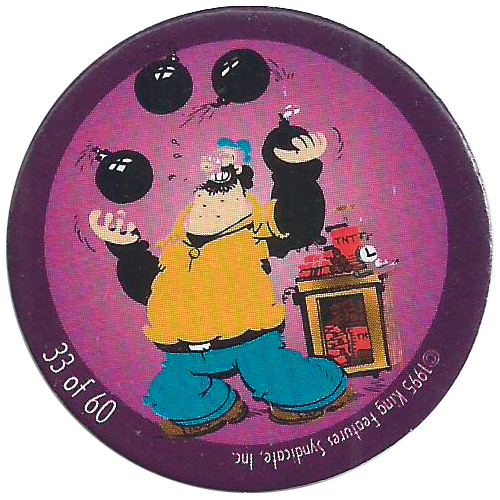 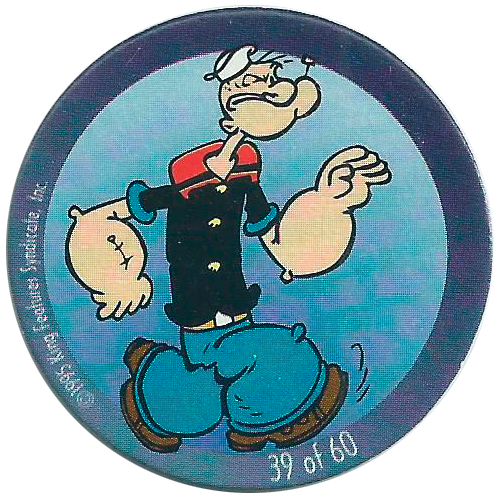 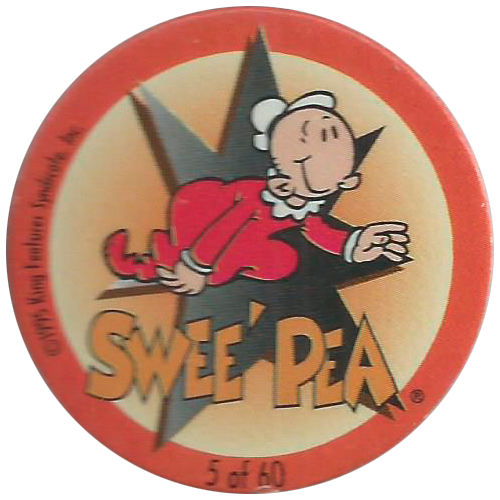 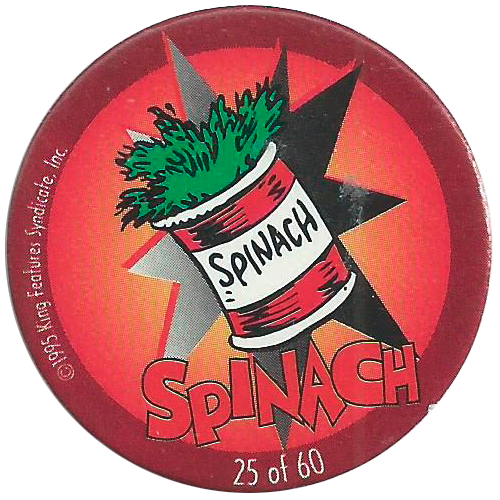 Info:These pogs feature characters from the King Features Syndicate comic strips 'Popeye'. 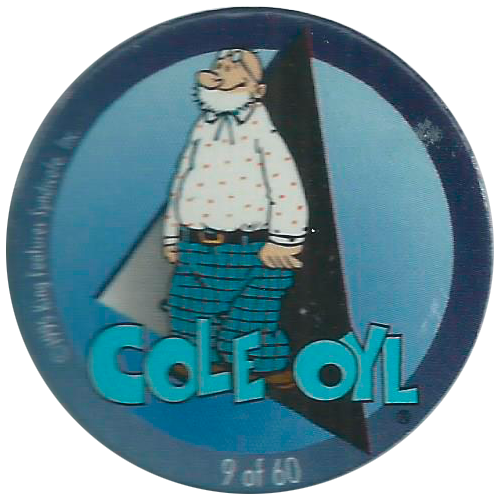 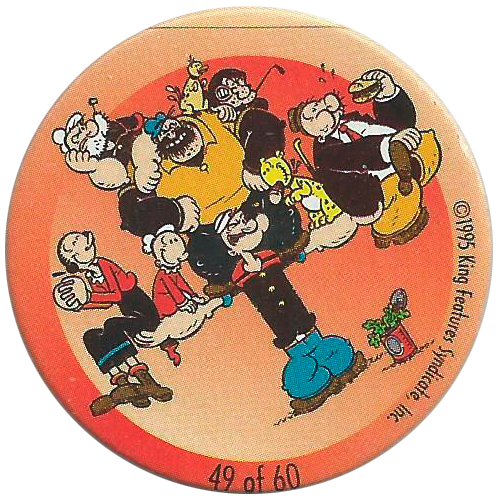 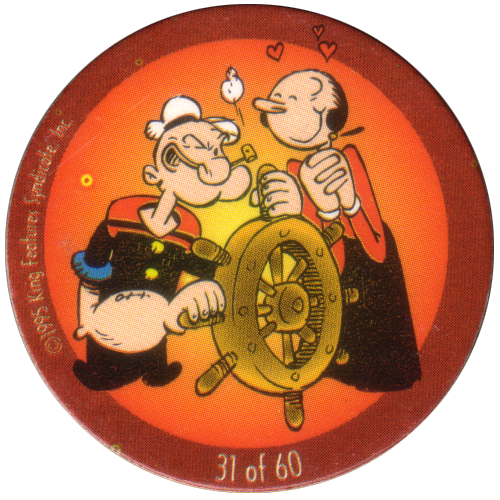 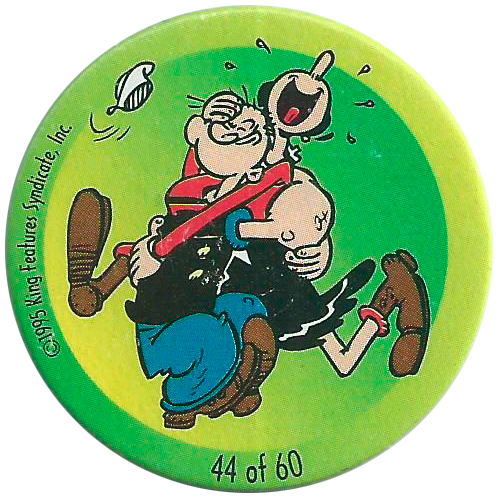 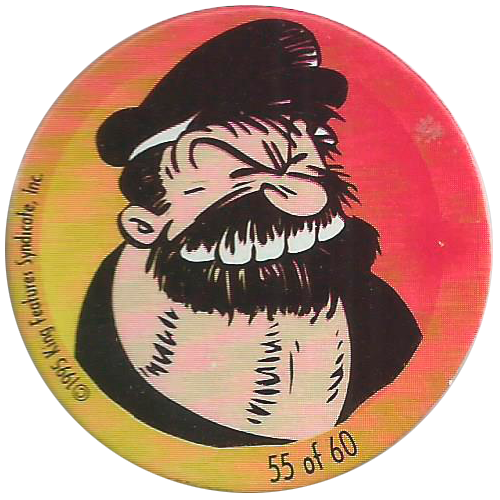 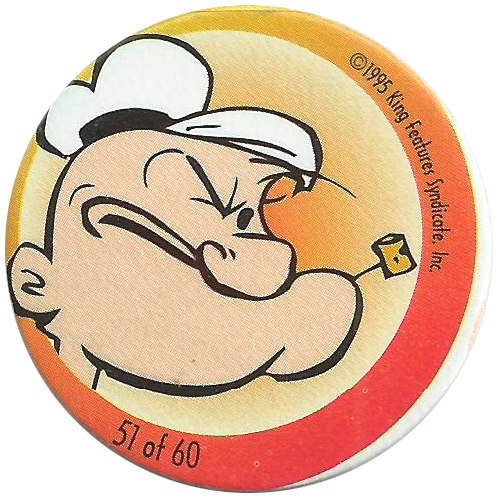 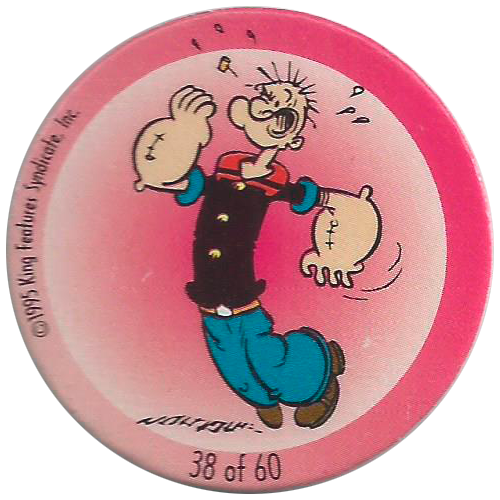 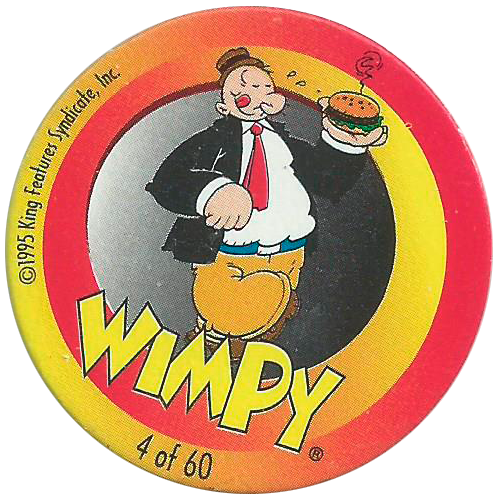 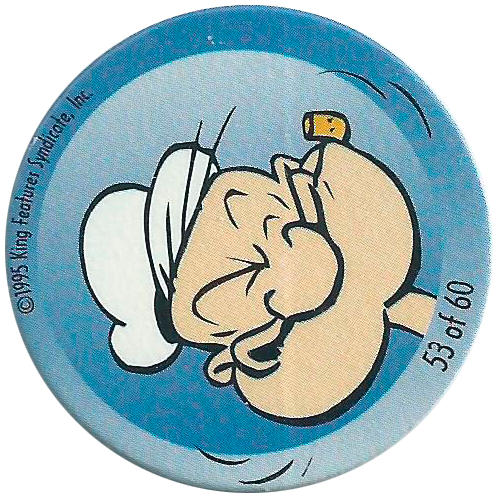 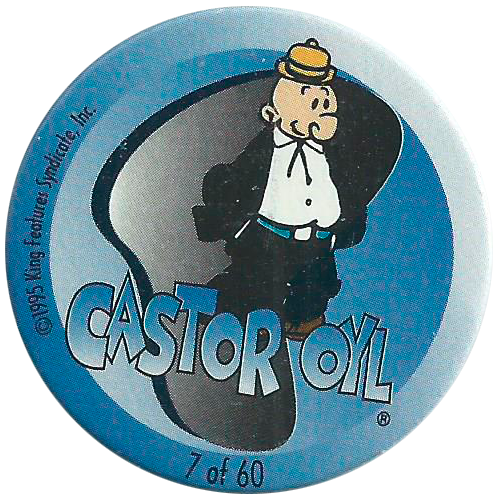 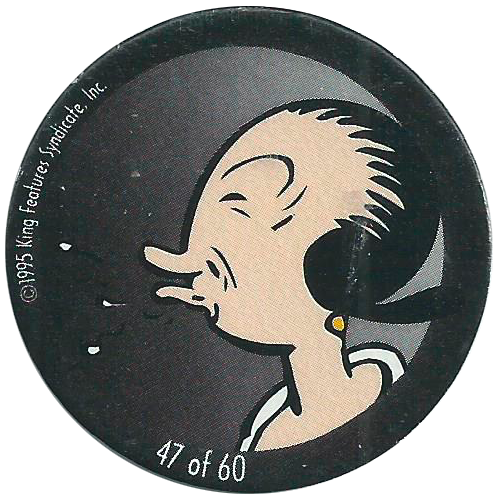 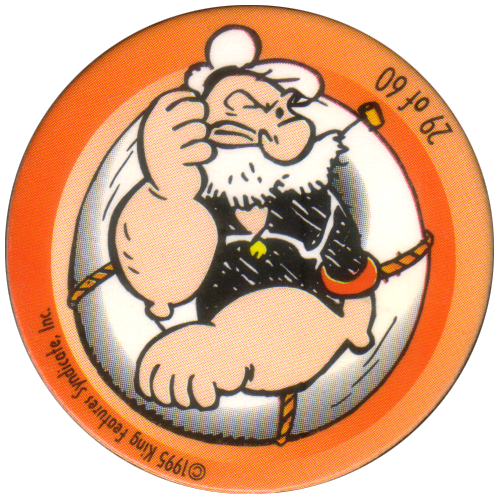 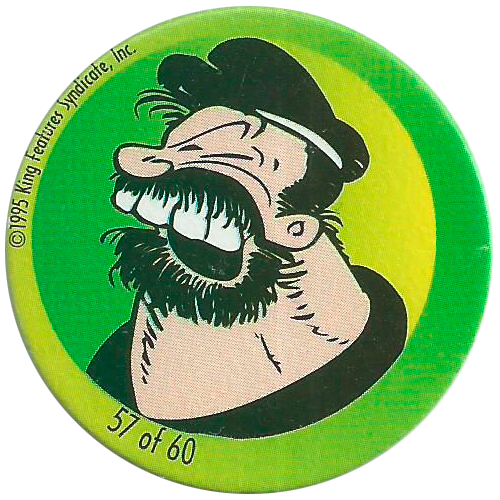 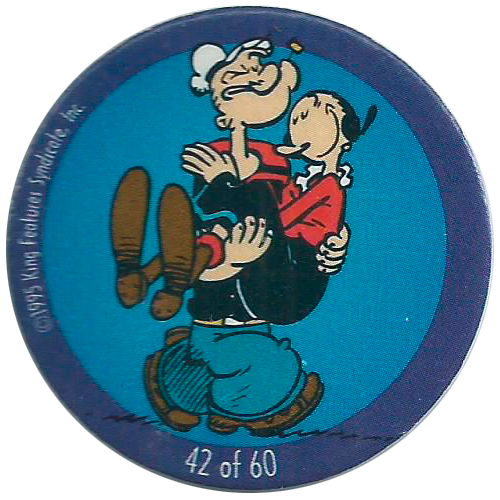 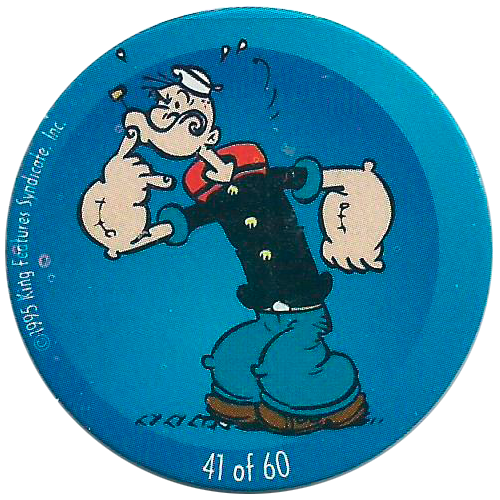 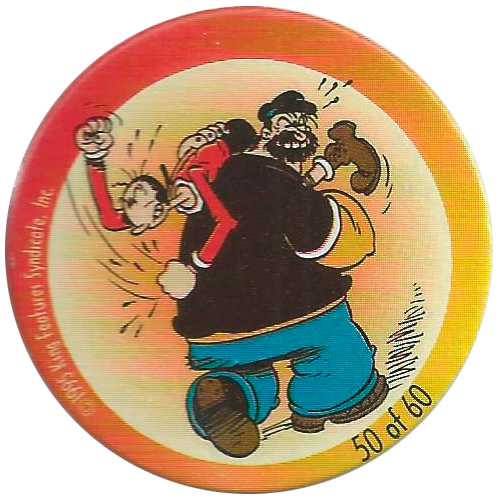 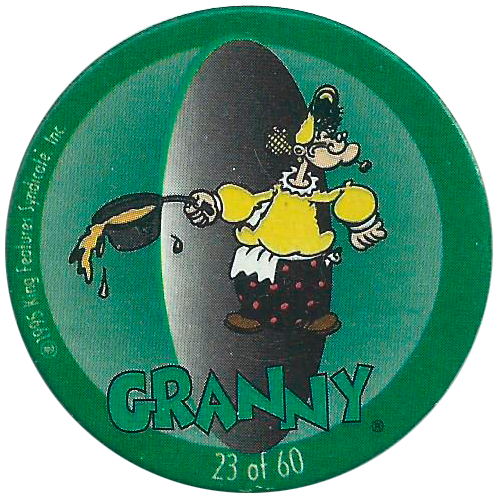 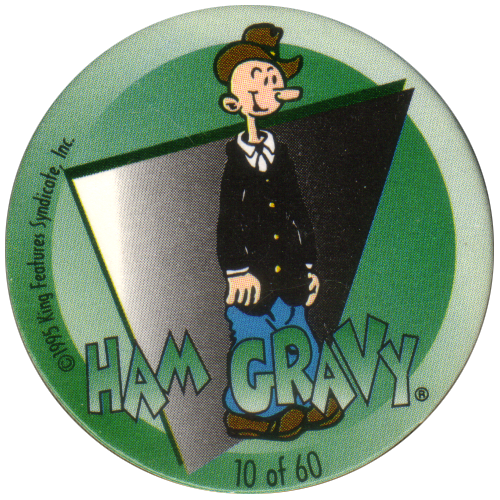 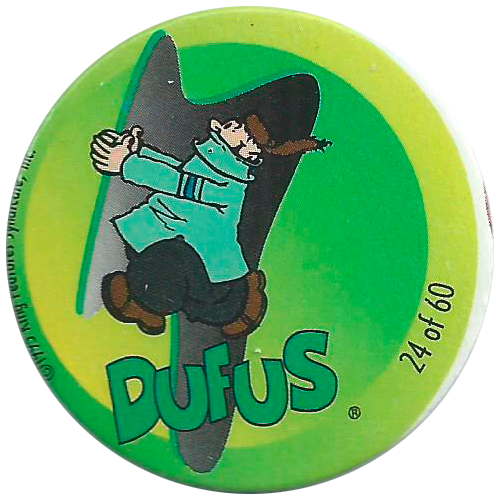 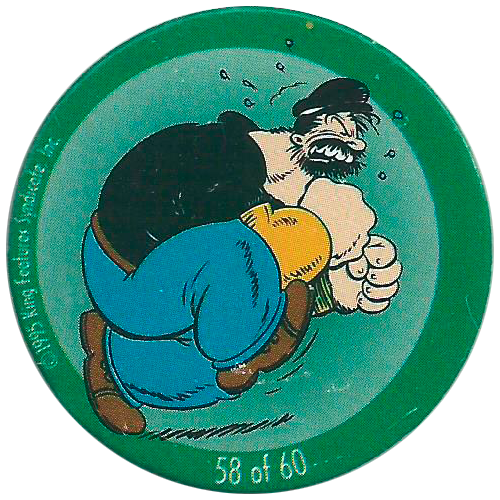 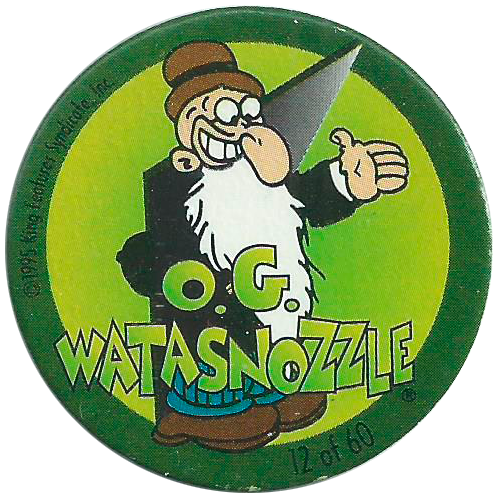 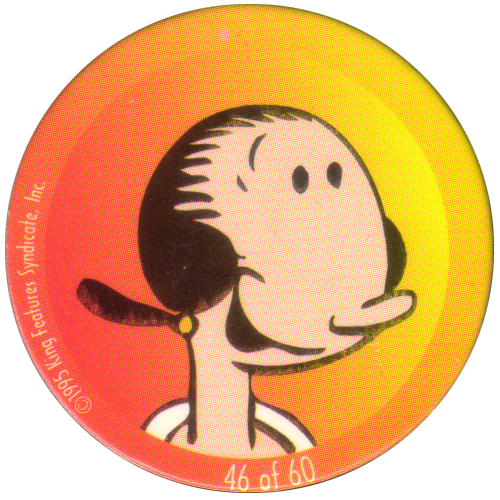 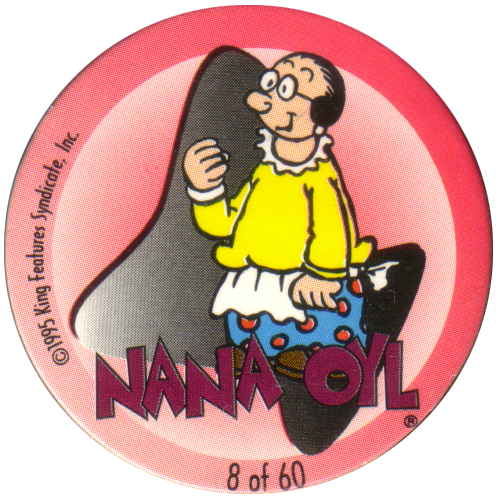 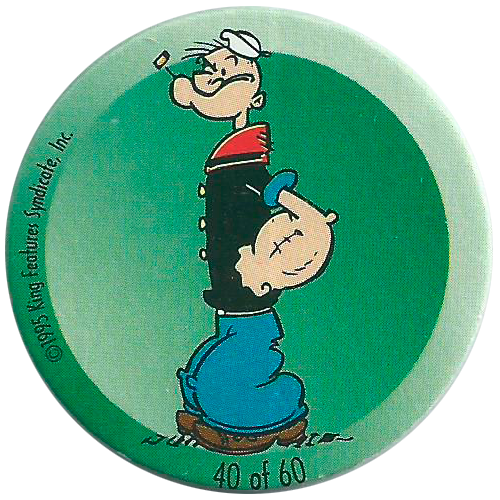 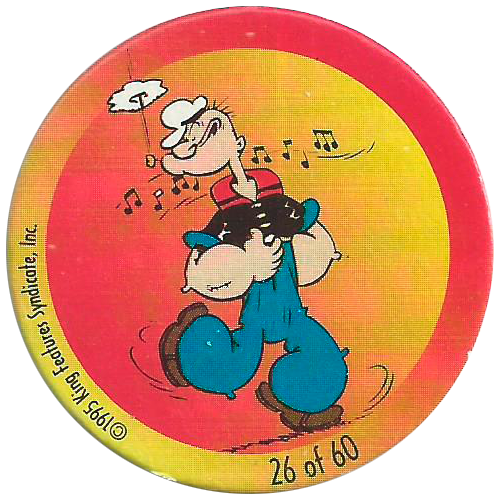 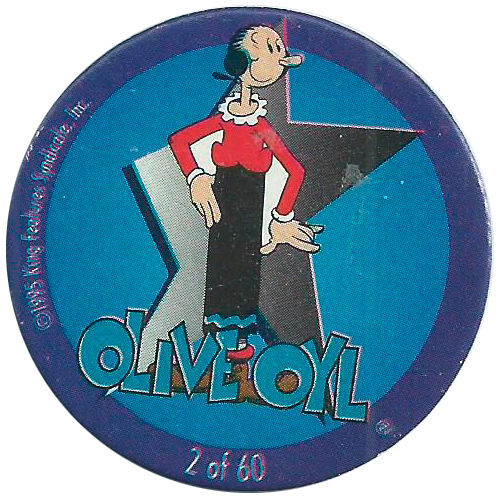 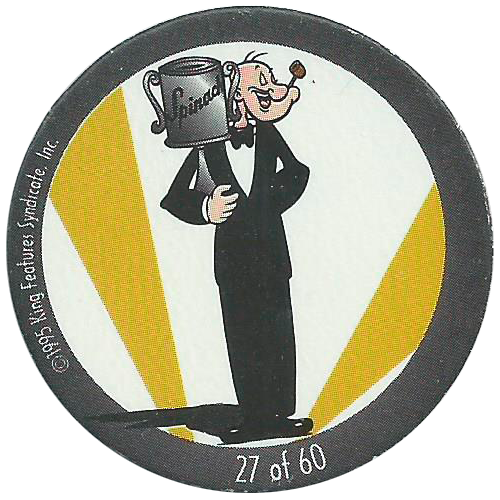 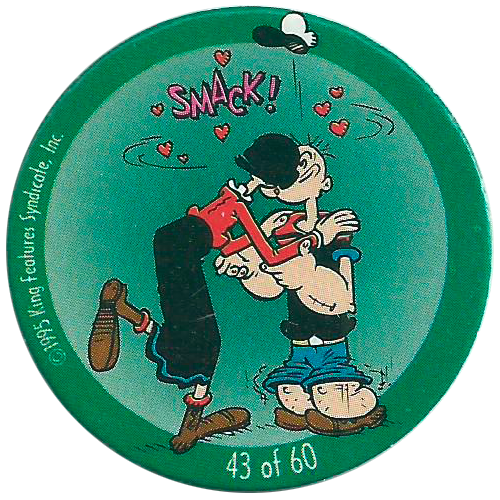 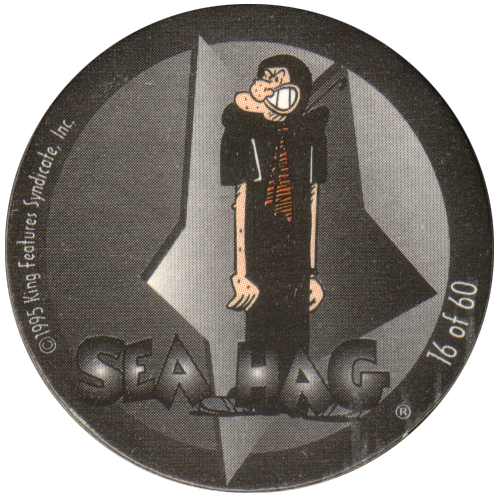 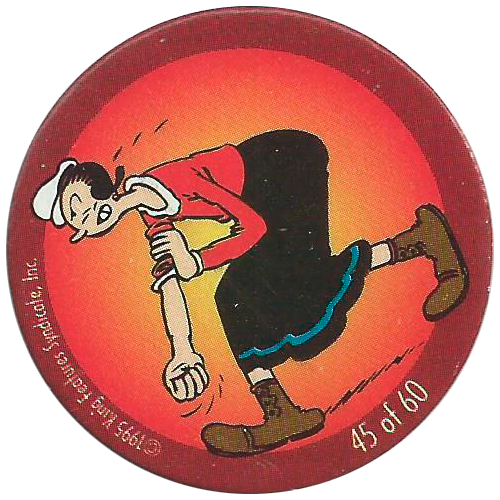 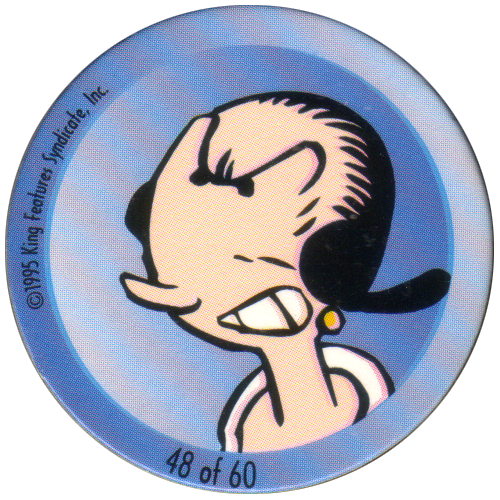 As well as Olive Oyl and Popeye, the caps also depict characters such as Ham Gravy and Poopdeck Pappy. 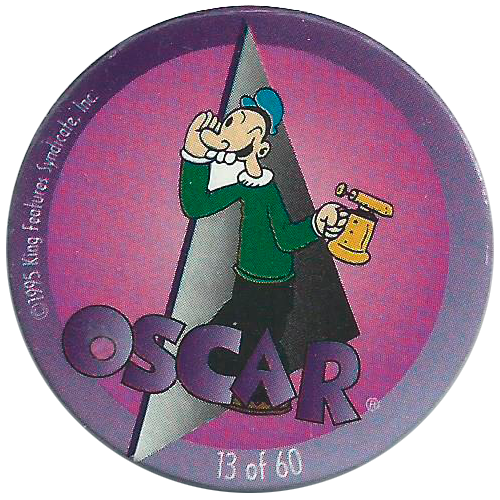 The caps are numbered on the front, and have blank backs. 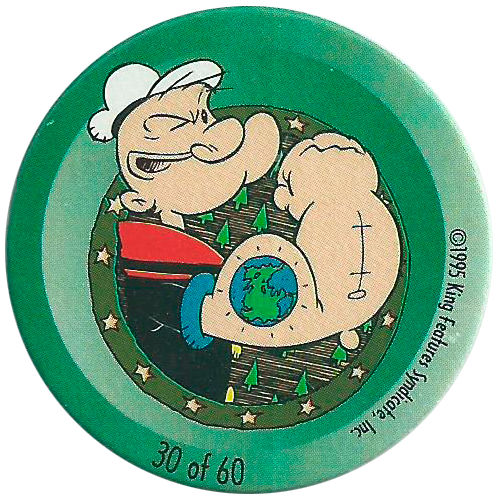 There are 60 in the series in total to collect. 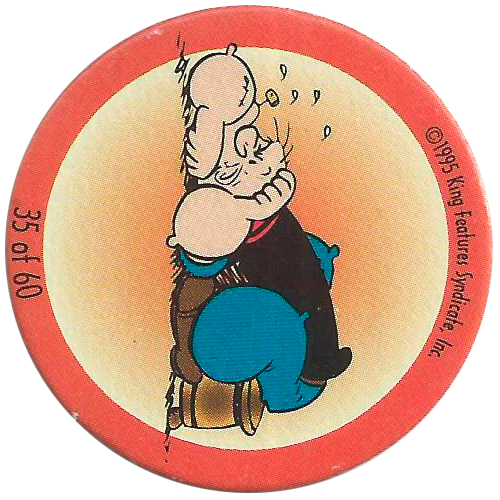 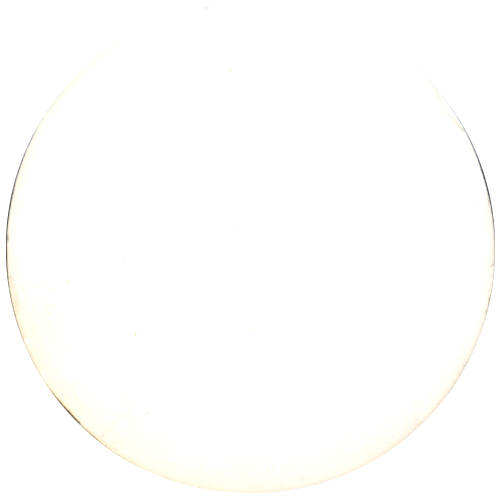 Thanks to Klaas for the majority of scans below.